Sensor is programmed with the base to alert you when a door or window is opened. Notifications get sent straight to your smartphone or smart device. 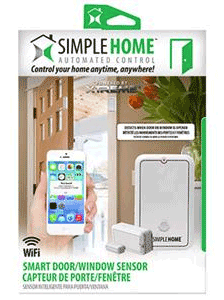 Use it to communicate with other Simple Home Products to turn on when triggered.